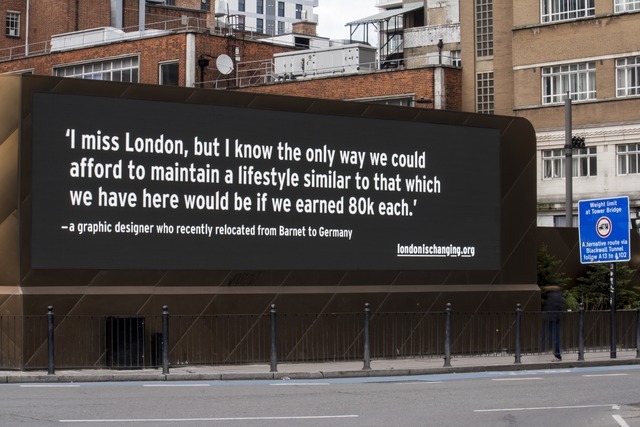 This project was intended to facilitate discussion about the impact of economic and policy changes on the culture and diversity of London. 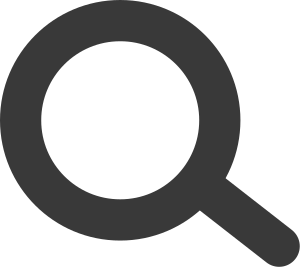 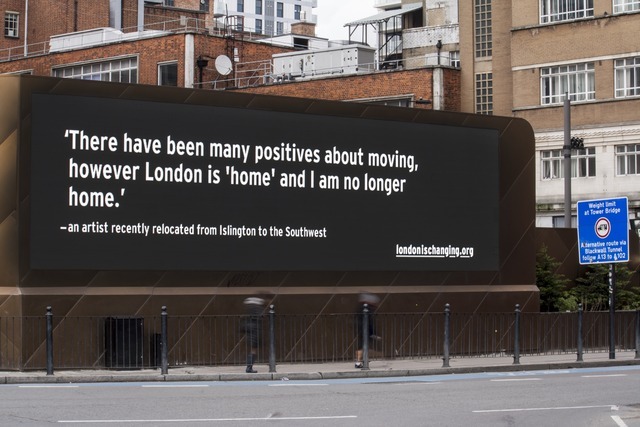 Via a web form, we asked a series of questions intended to capture a variety of personal stories and circumstances designed to enhance understanding of broader demographic trends concerning migration into, out of, and around London. 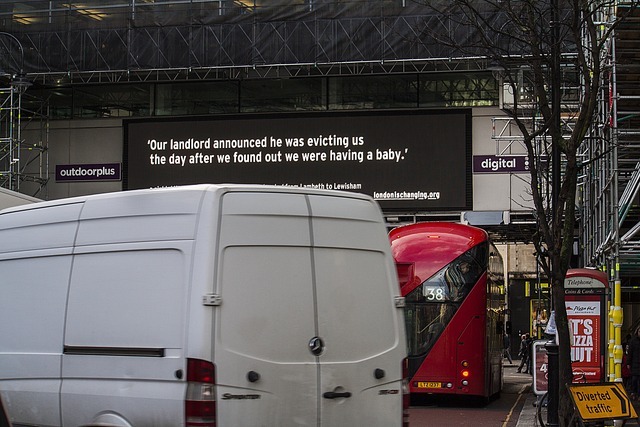 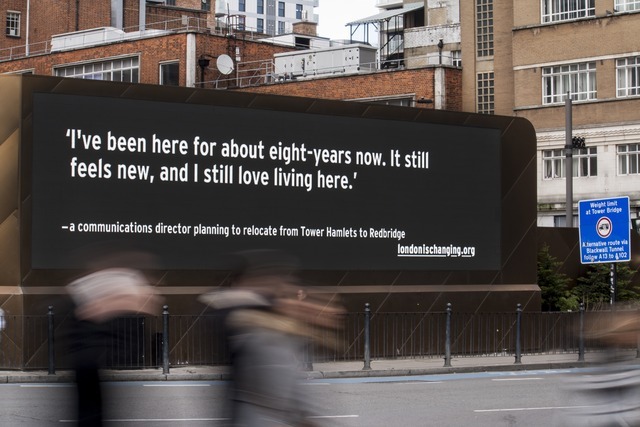 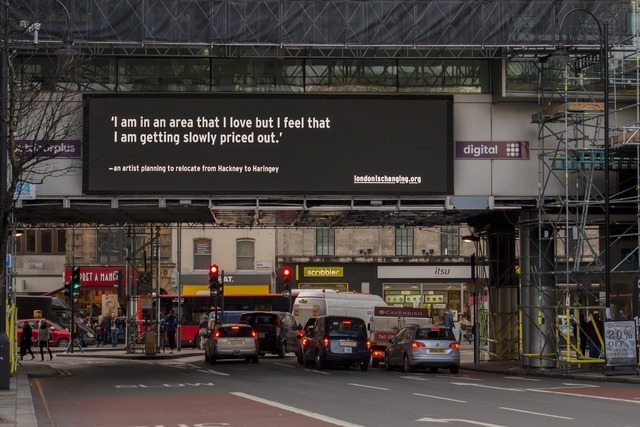 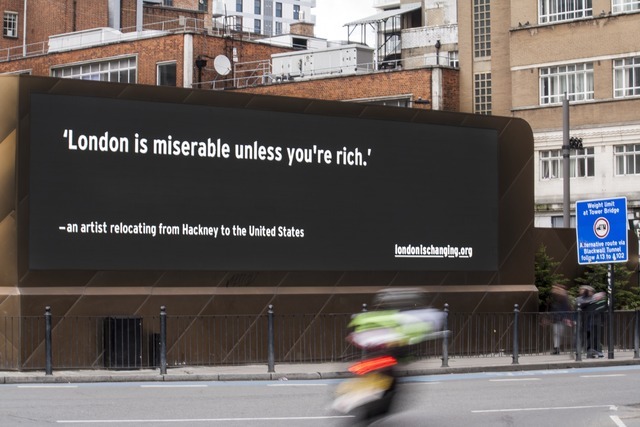 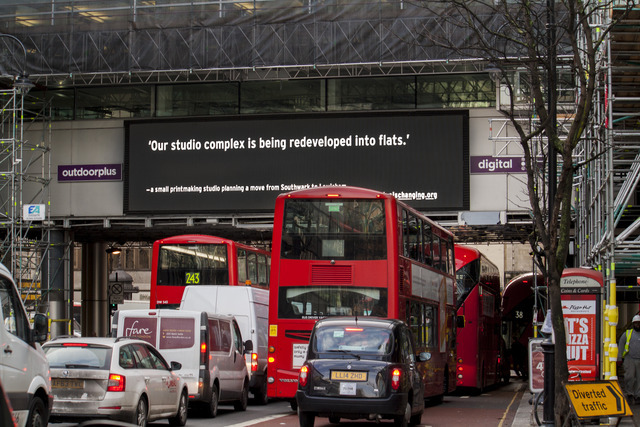 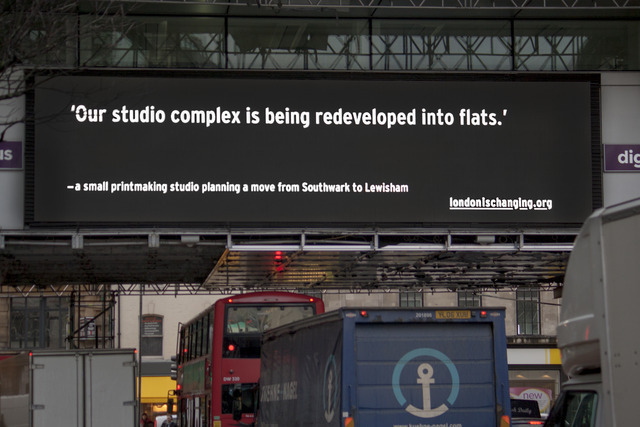 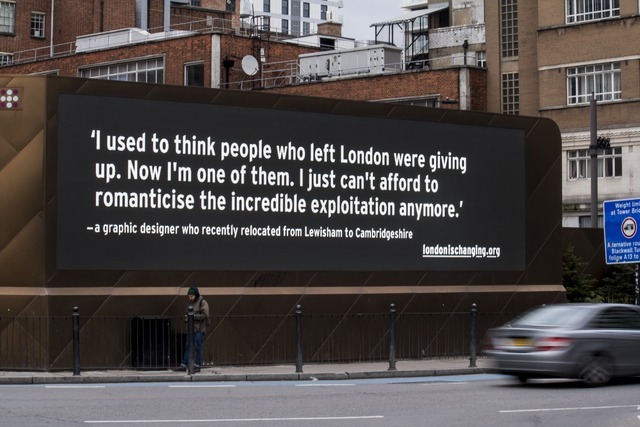 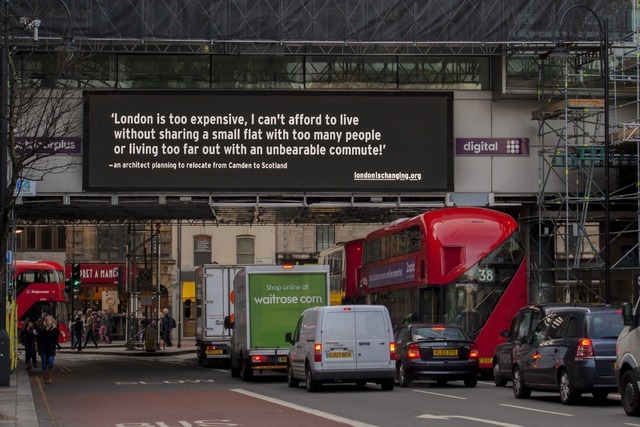 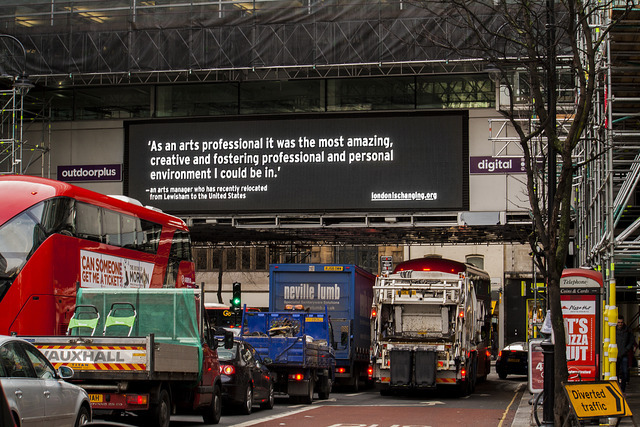 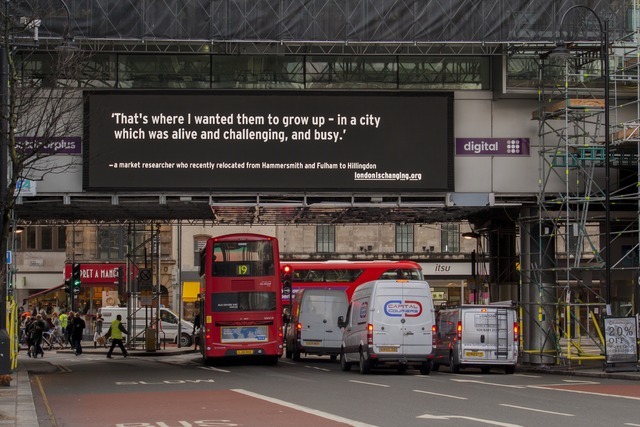 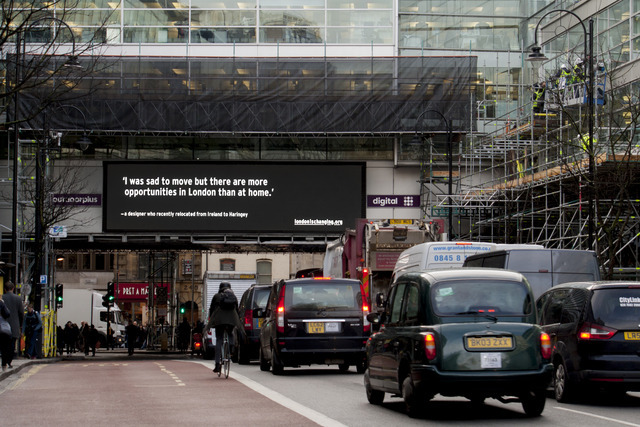 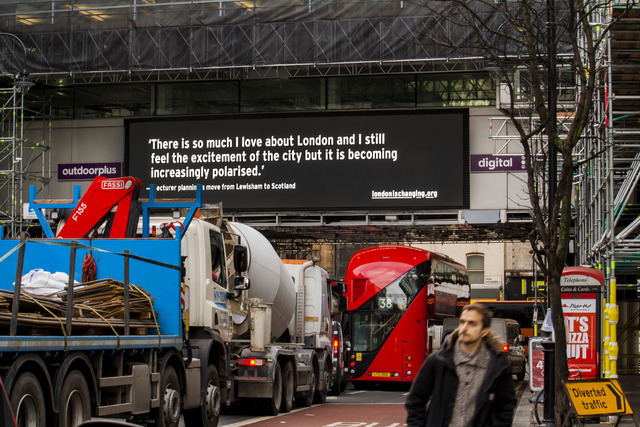 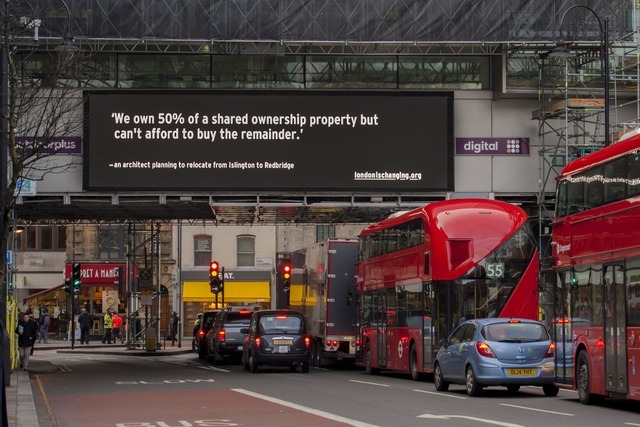 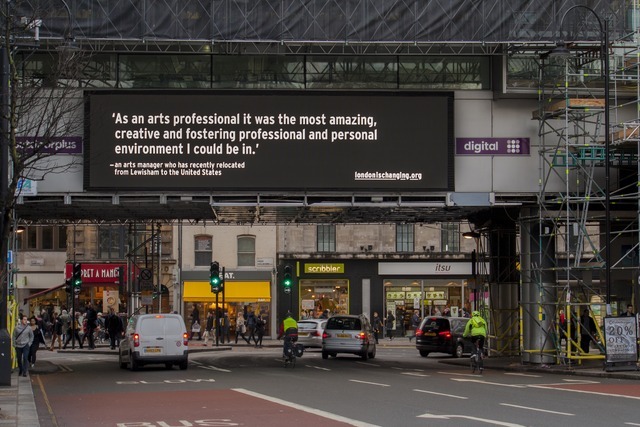 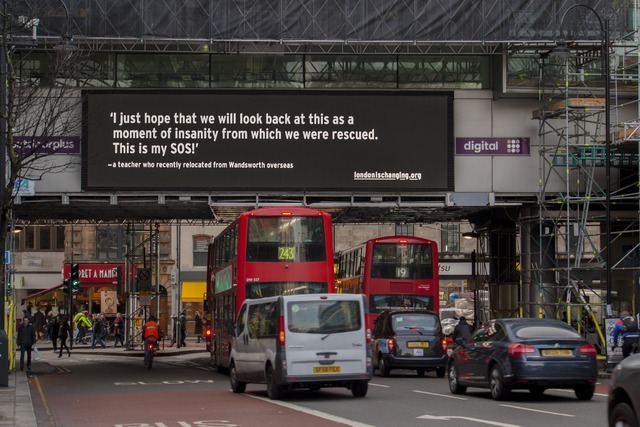 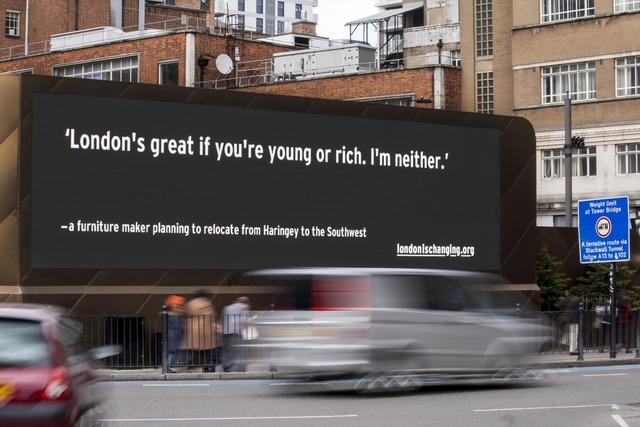 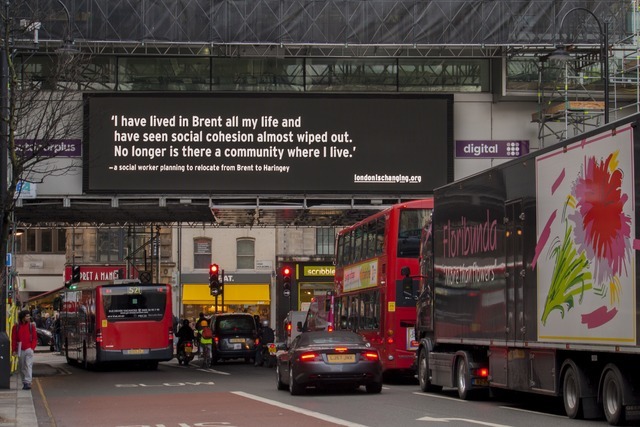 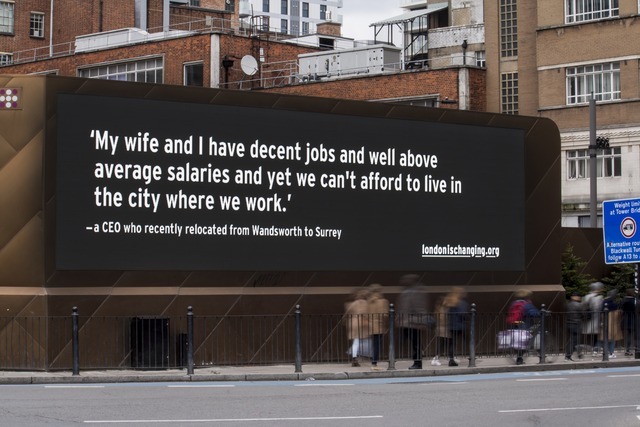 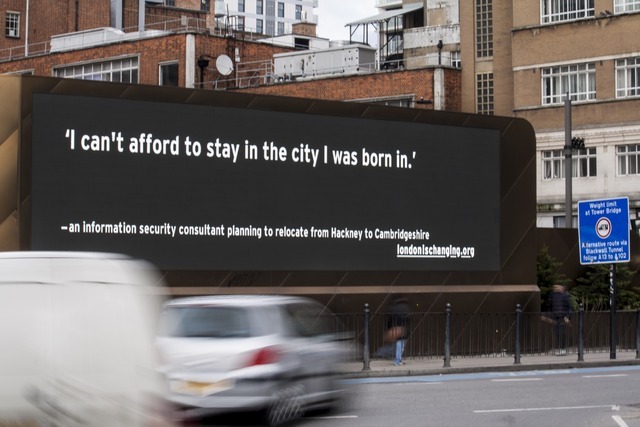 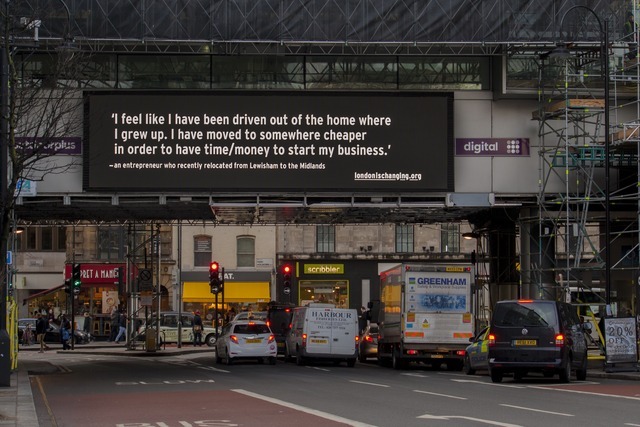 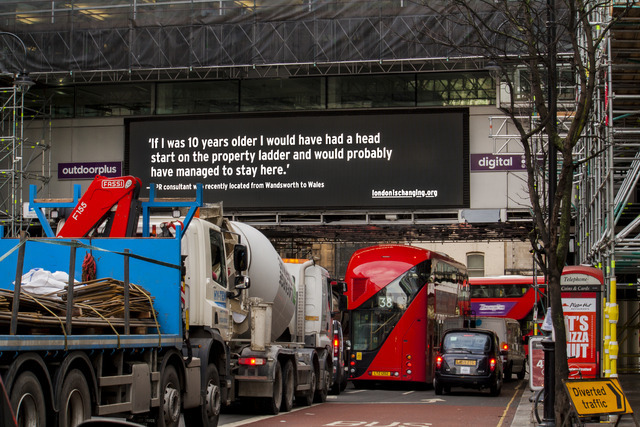 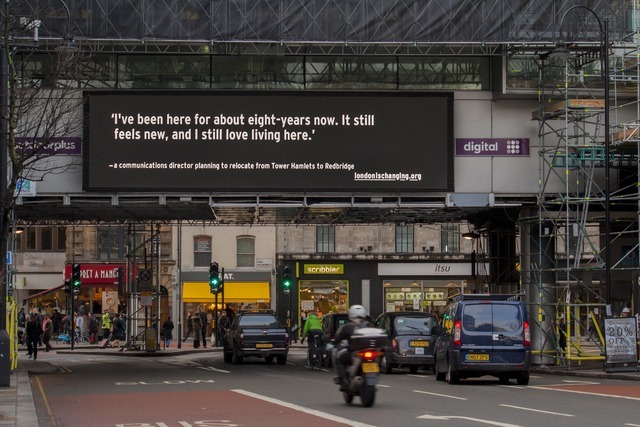 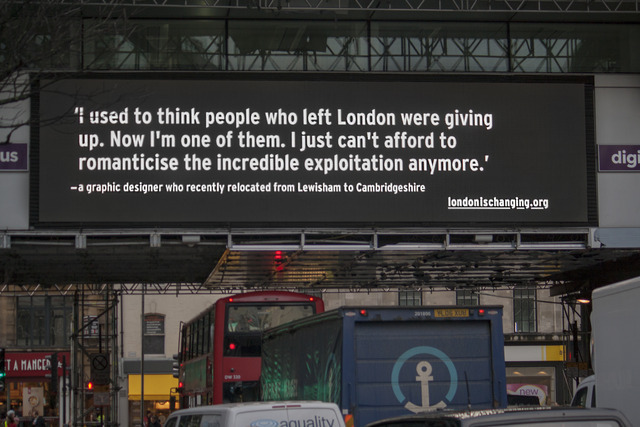 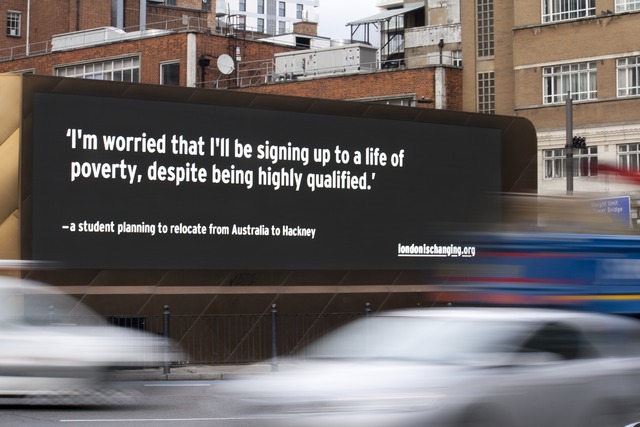 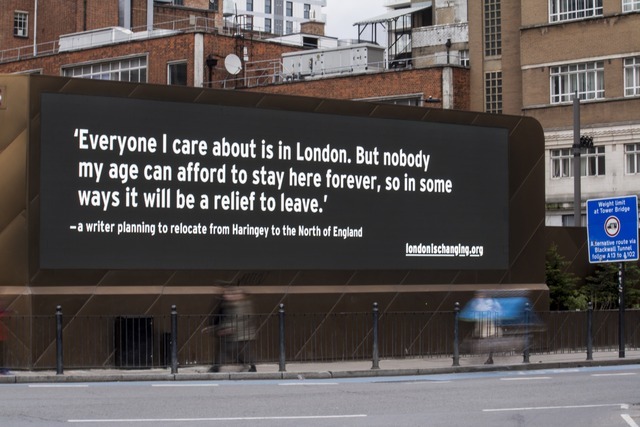 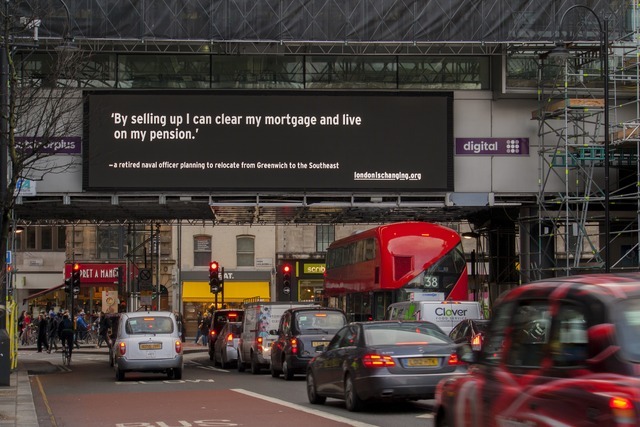 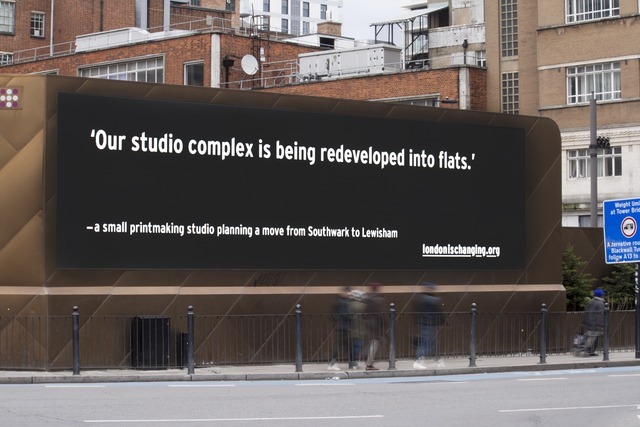 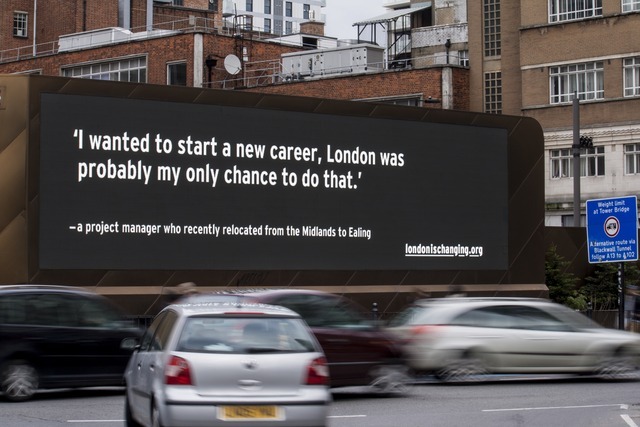 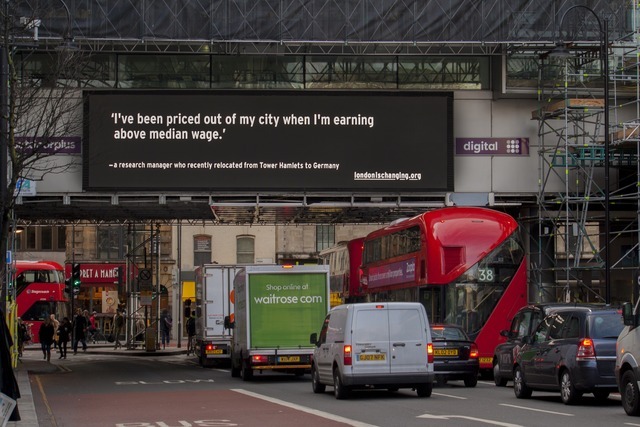 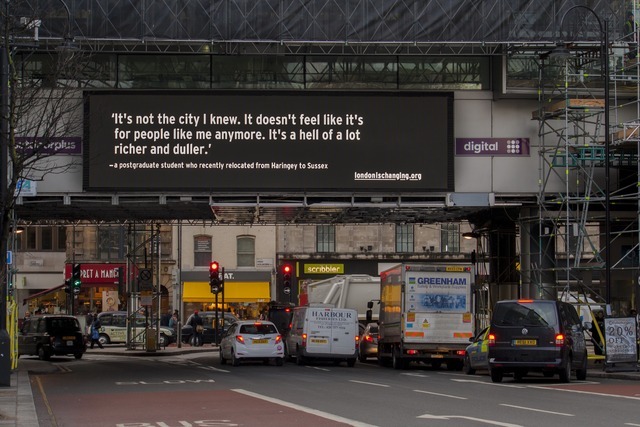 An edited selection of responses from the web form was displayed on digital billboards in Central London during February 2015. 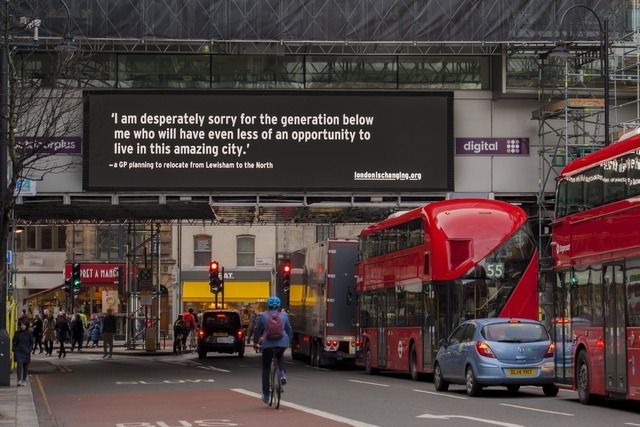 Over 5,000 people contributed.